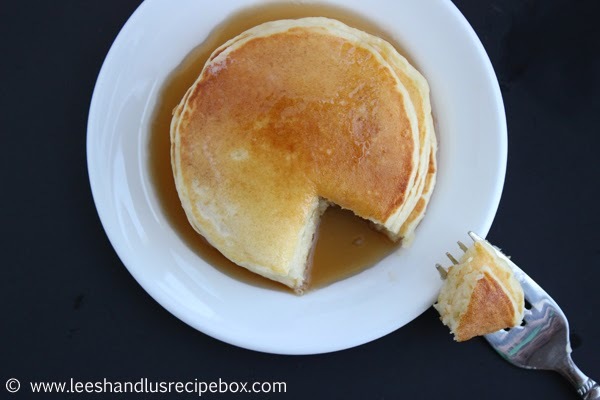 Do you have a favorite pancake recipe? I have a few. This oatmeal pancake mix makes delicious, hearty pancakes, I'm also a huge fan of the classic ones my mom made us growing up (I sometimes use all white flour and sometimes all wheat and sometimes half and half), I also love these blender pancakes (especially made with kamut berries), and now I have a new favorite, it's taking front stage now and it's the only pancake recipe I've made the last 10 times we've had pancakes. So I think that is saying something considering I have so many other pancake recipes I love. Meet these fluffy potato pancakes. They are cousins with my husband's grandma's recipe for potato puffers, which we also love. You might think it sounds strange to add potatoes into pancakes, but if you've had our yummy cinnamon rolls that have a potato dough, you will know why these pancakes are so good. 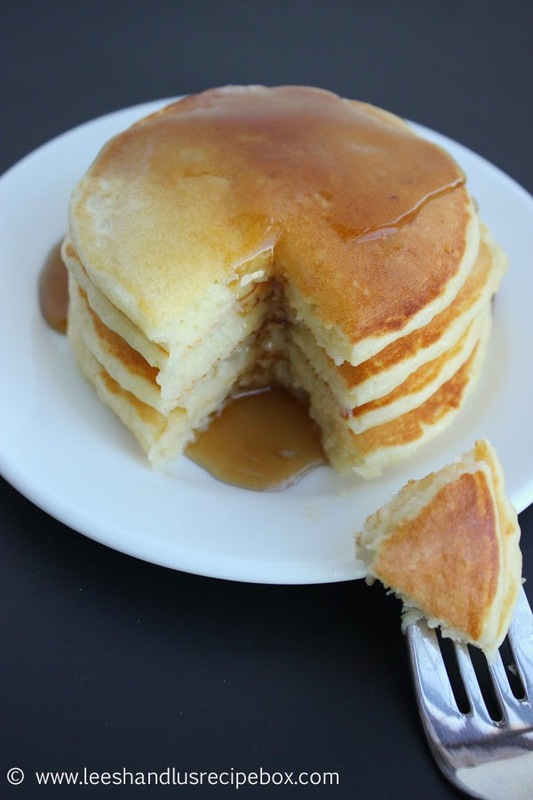 The potatoes make the dough of the cinnamon rolls and the batter of these pancakes so tender, soft and fluffy! I won't tell you how many of these I eat when we have brinner. This is the kind of thing you need to make when you have leftover potatoes. 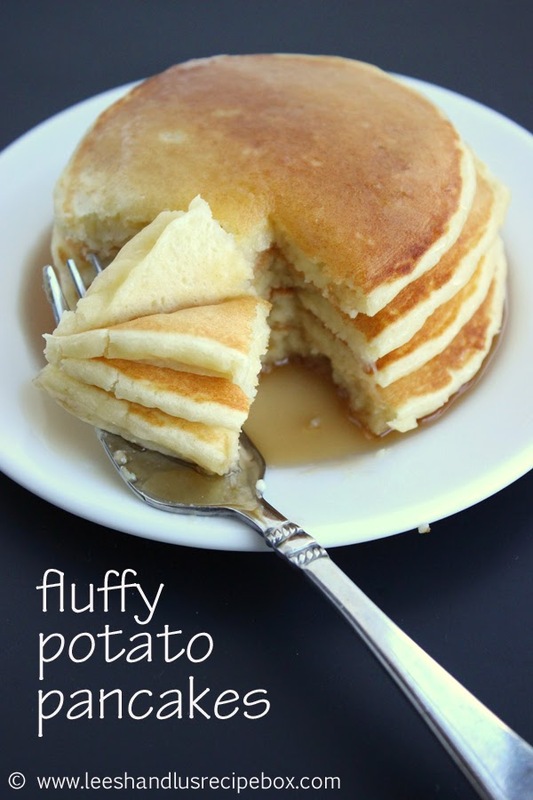 But I actually love these so much I will go the the effort of peeling, cooking and mashing potatoes just to make these light and fluffy things. So if you think you have all the pancake recipes that you could ever possibly need/want, you might just need to try this last one. In a large mixing bowl or 8 cup measuring cup combine the mashed potatoes, salt, and eggs. Mix well with a hand mixer. Add 1 teaspoon baking powder and mix. Add milk and flour and mix until smooth - adding more milk if you’d like a thinner pancake batter. Cook on a buttered griddle over medium heat until bubbles come to the surface of the pancake and start to pop (check to see if the under side is turning golden brown), flip and cook the other side a few minutes until it is golden brown and the pancakes are cooked through. 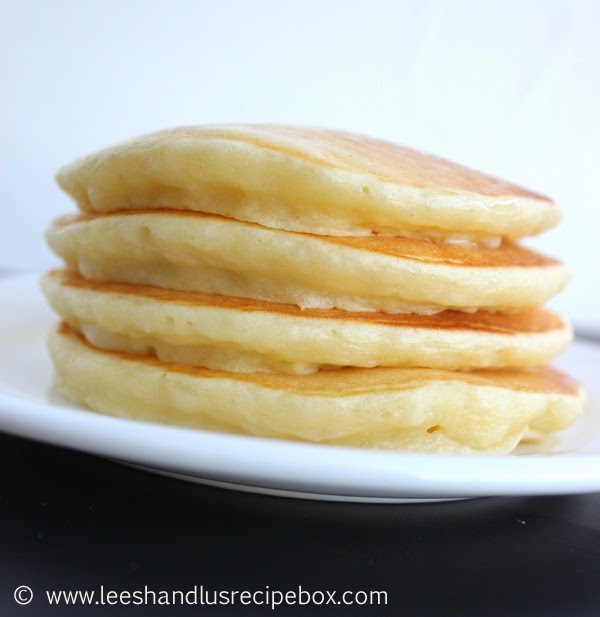 I LOVE pancakes and I have some leftover mashed potatoes on hand....going on the menu plan! Excellent! You'll love them! Can't wait to hear what you think! Do the mashed potatoes need to be seasoned? I usually bake the potaotes, rice them, then add butter, cream cheese, lawrry's and black pepper to create the final "mashed potatoes" that I serve. I can't image that would taste good in pancakes though... should I basically grab the potatoes I need for this recipe after they are riced, but before I add all the seasoning (and calories...) to them? Wondering about the cream cheese in particular. I assume butter would probably be okay? No, you're right, the seasoning should be left out. I usually add butter, salt and milk to mine. I don't think the cream cheese would hurt them, maybe even make them better :). I really like to whip my mashed potatoes up with a hand mixer to so they are nice and smooth in the pancakes. I hope you enjoy them! Let me know how you like them!